We all know the story of Darth Vader. Anakin Skywalker, a young Jedi, falls to the dark side to become Darth Vader, the apprentice of Darth Sidious. 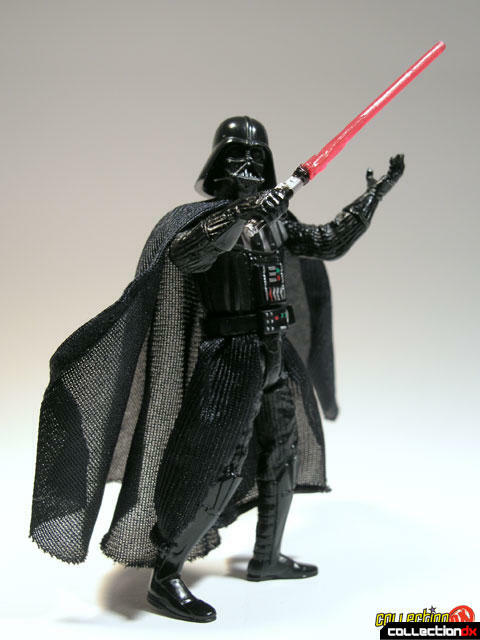 There have been many representations of Vader released over the years from Hasbro, from the bulky heroic sculpt back in 95 to the classic look of the Original Trilogy Collection. 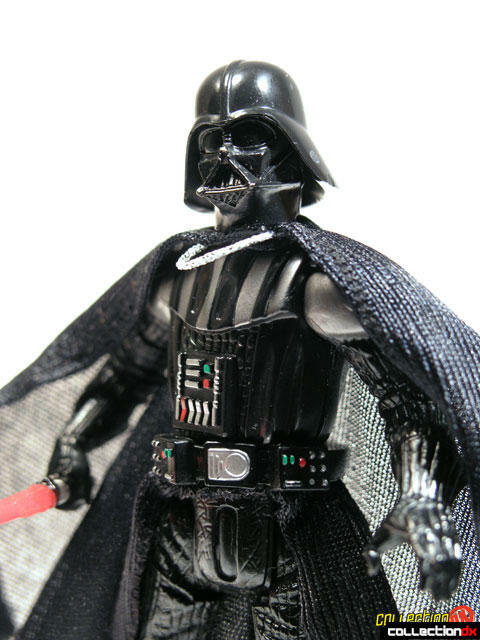 With the release of Episode III: Revenge of the Sith, Hasbro has released several new Darth Vader toys, ranging from your standard 3Â¾ action figure to a Mr. Potato Head themed Vader, called Darth Tater. 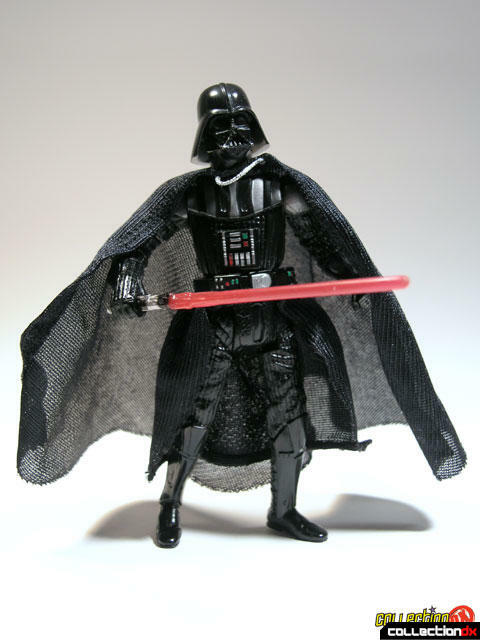 This particular figure is one of two standard 3Â¾ Darth Vader figures released as part of the Revenge of the Sith Line. 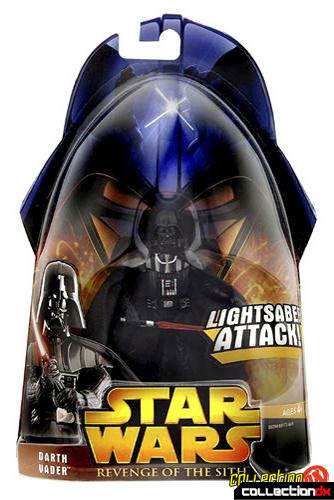 Darth Vader (Lightsaber Attack!) is actually a very cool figure. I stopped buying Star Wars figures back when the Phantom Menace came out, but when my wife bought these for my son I had to check them out. They've come a long way, but they still have a way to go. 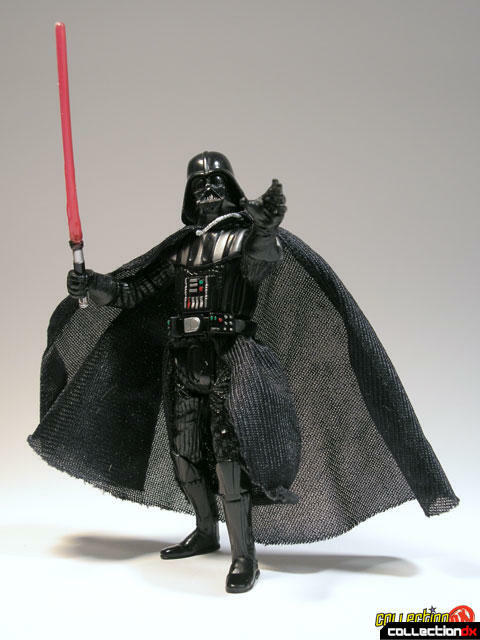 The figure comes with one accessory - a lightsaber that can fit in his right hand only. 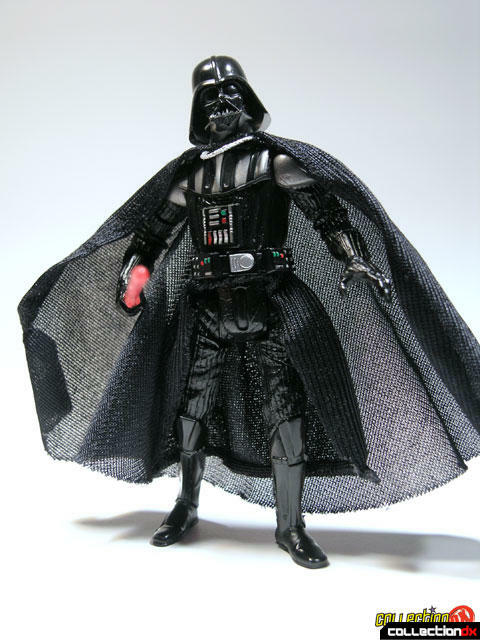 Darth Vader also comes with a cloth cape and skirt - a step up from the molded plastic capes they used to use, but the cloth here is too thin and billowy. Something more like silk would have been more appropriate. Also, the silver rope around his neck has a tendency to stick straight out, instead of hang down. Darth Vader has limited articulation. He has ball joints in the shoulders, swivel wrists, a neck and waist joint, and articulation in the legs at the hips. Unfortunately, the legs are fixed-pose, so there's really only one pose that he can stand in. Why give him any articulation in the legs at all if you aren't going to let us decide on the pose? How hard would it have been to give thigh, knee and ankle articulation? Takara seems to be able to do it with their Microman figures. I really don't understand Hasbro's thinking when it comes to articulation. Some figures have lots of joints, like the Super Poseable Clone Trooper. Articulation should be standard, not a selling point. One really cool thing about the Darth Vader (Lightsaber Attack!) figure is the saber slashing action. Squeeze his legs together and his torso swivels while his saber arm slashes down. Too bad we don't get to see Anakin use a saber while dressed up as Vader in the film.